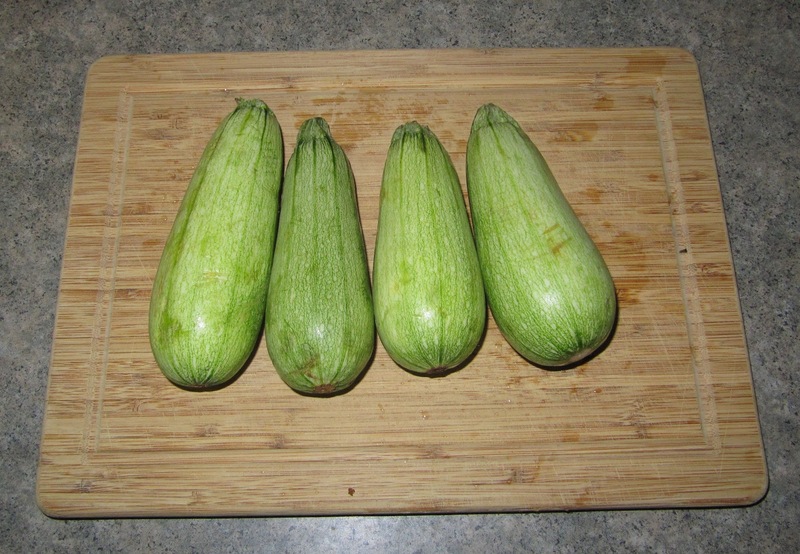 Calabacitas are what I can best describe as a mexican zucchini, though the name calabacita literally translates to "small pumpkin". 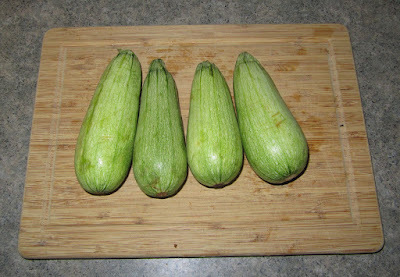 Calabacita tends to be shorter and more rounded at the bottom than a regular zucchini and is used quite frequently in Mexican cuisine. 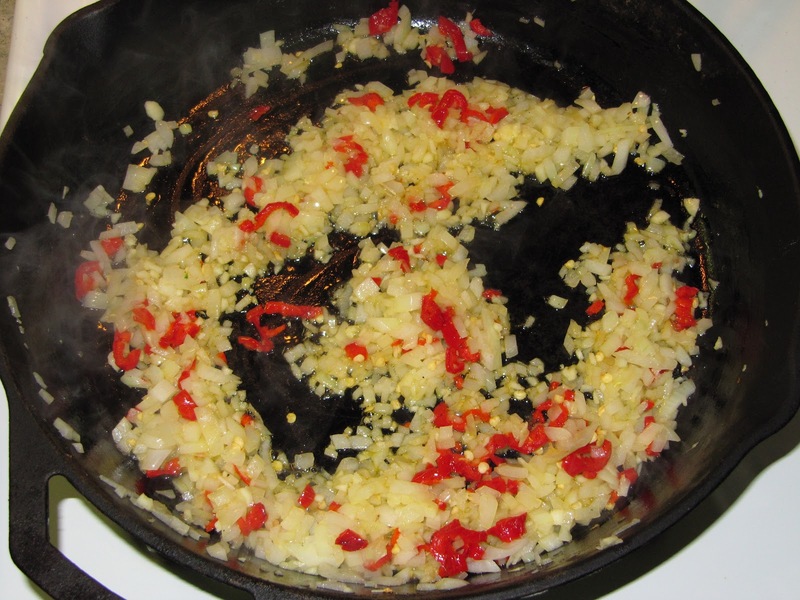 I always think of calabacita sauteed with tomatoes, mushrooms and chicken, perfect filling for a tortilla. 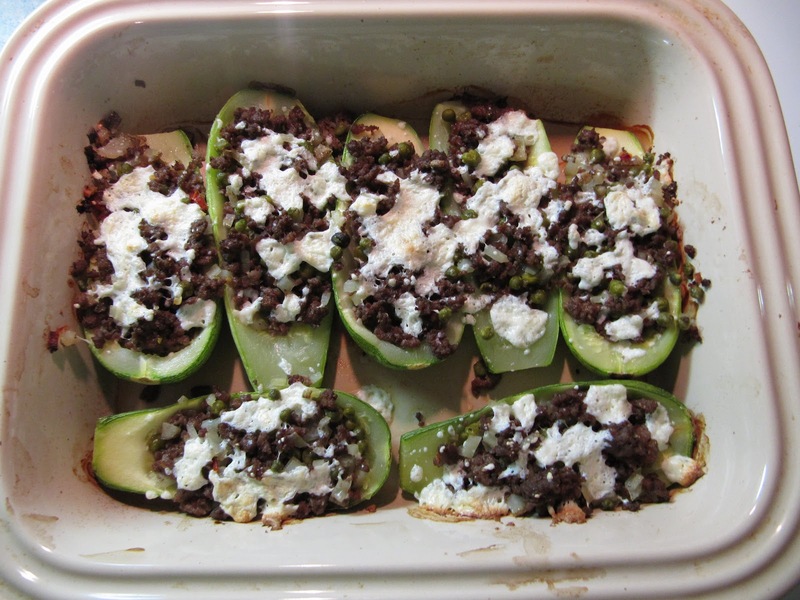 Another popular preparation for calabacita is stuffed with vegetables, chicken and cheese. 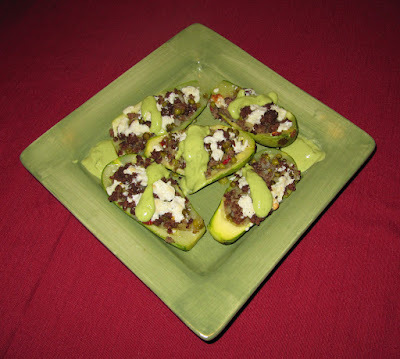 For my version I chose to stuff the calabacita with a basic picadillo: ground beef cooked with potatoes and peas. 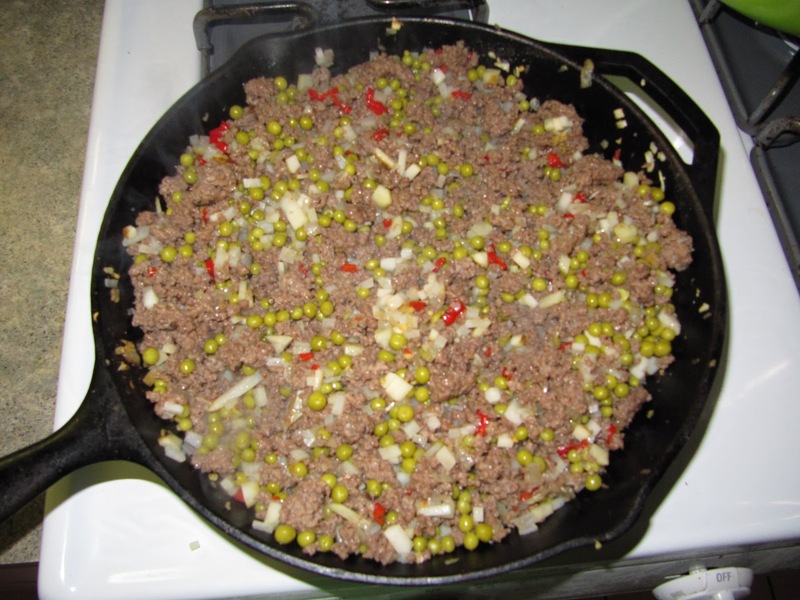 Normally a picadillo would also contain raisins, but I did not happen to have any at the time. 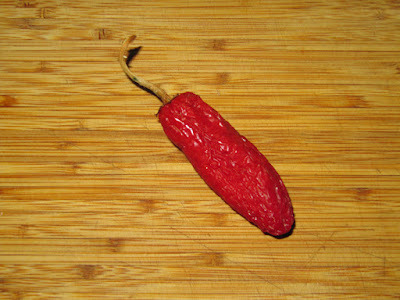 To add spice to the picadillo I used a dried red jalapeño. This weekend I visited my parents house and noticed that my dad had an abundance of dried piquín, serrano, habanero and jalapeño peppers. 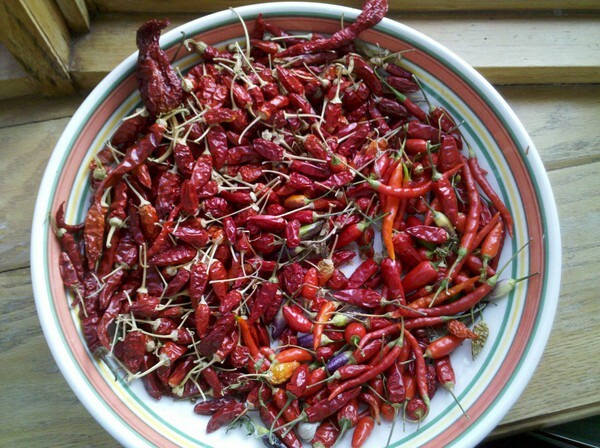 I decided to take advantage of my dad's love of chiles and took a few. I felt that the dried jalapeño had an aroma and texture similar to that of a sun dried tomato, but very very hot, a perfect addition to my dish. To prepare the picadillo, I sauteed the ground beef with onion, garlic and the dried jalapeño. I cooked the beef until browned and added finely diced potato and peas towards the end to avoid overcooking in the oven. I split each calabacita in half and using a spoon I hollowed out the vegetable , taking out mostly the seeds. I placed the calabacitas in a baking dish and stuffed each one with my picadillo. I used queso fresco to sprinkle over the top before placing in the oven. 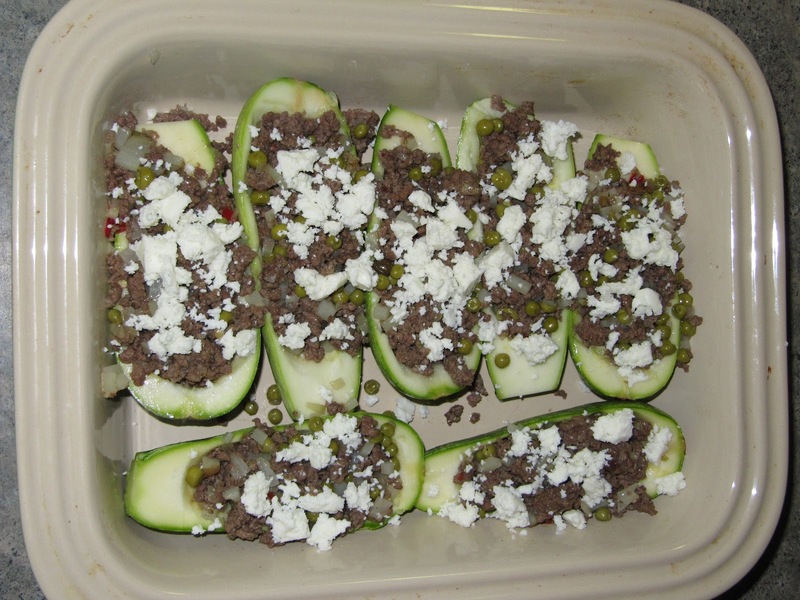 I baked in the oven until the calabacitas were fork tender. 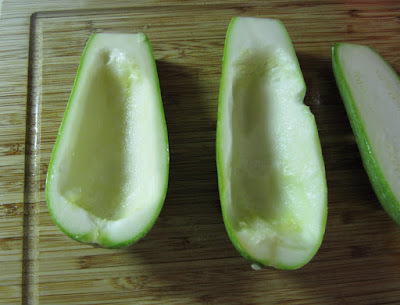 The queso fresco is not really a melting cheese but it formed a nice crust on top. To serve the calabacitas I made a quick sauce by placing avocado, crema mexicana, and hot sauce in a food processor and blending until smooth. The dish overall was very tasty, the beef went well with the taste of the calabacita and the jalapeño added the right amount of heat.